Though local produce has run its course for the season, our FarmSource program continues year-round thanks to partnerships with local farms, dairies, and artisan producers. This year, I'd like to introduce you to some of those partners. Produce - Sourced within 150 miles from our local distributors. We selected these growers through farmer based organizations that assisted in the outreach of many of these growers. Dairy - Sourced within 150 miles from the milk processing facility. These dairies are independently owned and operated by farm families that choose not to treat their herds with rBGH (bovine growth hormone). Meat - Regional (located within the state or within a three hour drive) meat producers. These facilities are USDA inspected and source their animals from farms that are within a three hour drive from the processing facility. Artisan - These producers devote their time, energy and passion to a limited line of products. Often these producers have a single product line, produced at a single facility. These companies range from a local hearth-baked bread company to a neighborhood ethnic sausage manufacturer. You might be surprised to learn how many local products are used throughout our menu. I'll be focusing my next series of blogs on the Artisan producers that we support – starting with Parma Sausage. Parma Sausage is a meat distributor located in the Strip District of Pittsburgh. The company was founded by the late Luigi Spinabelli, who passed the family business down to his daughter and so-in-law, Rina and John Edwards. When we first started working with them, 10 years ago, we dealt primarily with Rina and John, and over the last 5 years, their children have slowly starting to trickle back into the family business. I'm proud that we're working with such a passionate and homegrown business like Parma Sausage. Our current menu has two Parma Sausage products: Capicola and Chorizo Sausage. The Capicola is used on our Italian Breakfast Club sandwich and the Chorizo is used in our Breakfast Burrito. I had a chance to talk with our Executive Chef of Menu Development, John Frick, and he said, "The menu items featuring Parma's products are quite popular, and we looking to incorporate their offerings in more ways. 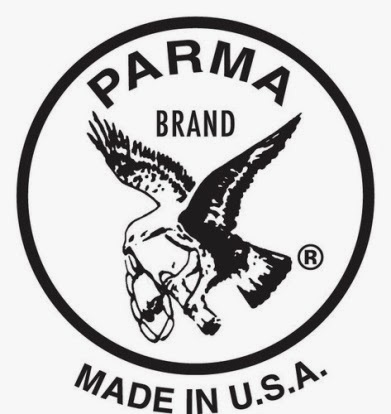 Because Parma's products are also available to the public from their store in the Strip District, I have the pleasure of enjoying them not only at Eat'n Park, but also at home. Click here for my Italian Grinder Recipe. It's a hit at every tailgate party!